Gullo Christmas for Kids started in 1992 with a goal of making life better for others. Every year 50-55 families are treated to a party with hamburgers, hotdogs and activities. One of these activities is a chance for each child to tell Santa what they want for Christmas. However, this is not all. Each family is then presented with a gift card, ham for Christmas dinner and a Christmas Tree and decorations. The giving does not stop with Christmas for Kids. The Earning By Learning program has been a huge success, and currently 5 Conroe ISD schools participate in this incentive program for 3rd graders. The program consists of children reading books for a six week period and they in turn earn $1 for every book read and report on. If they read 12 books in the six week time period, their money is doubled. 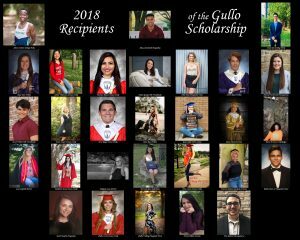 Another program that benefits students is the Gullo Dealerships Scholarship Program. Currently 12 public high schools in Montgomery County are a part of the program, which awards scholarships to students. Each scholarship is for $2,500 and we have been able to give out between 25-30 scholarships each year.